Winter of the Shark: It Pays to Know People – Ya Like Dags? 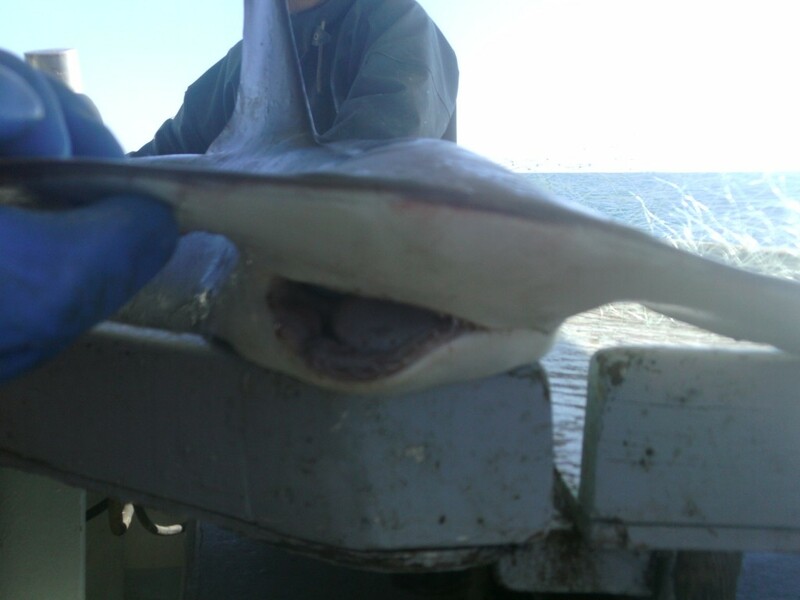 This past weekend marked a new venture into shark-related field work. For the better part of two months I’ve been fighting the good fight to keep ECU’s acoustic array up off of Cape Hatteras, and last Friday and Saturday finally managed to actually play with some sharks. The goal, as with the Summer of the Shark field days, is to catch, ID, and measure as many juvenile sharks as possible, with the added responsibility of surgically implanting acoustic transmitters into individuals of key species. This turned out to be the best couple field days I’ve had in my scientific career so far, and was a definite change from not catching a single damn shark over the summer. The weekend’s tagging trip was also a shining example of why it pays to not alienate fishermen. This round of field work is part of an NC Sea Grant Fisheries Resource Grant (FRG) project, which means we work with commercial fishermen to answer questions relevant to fisheries science. 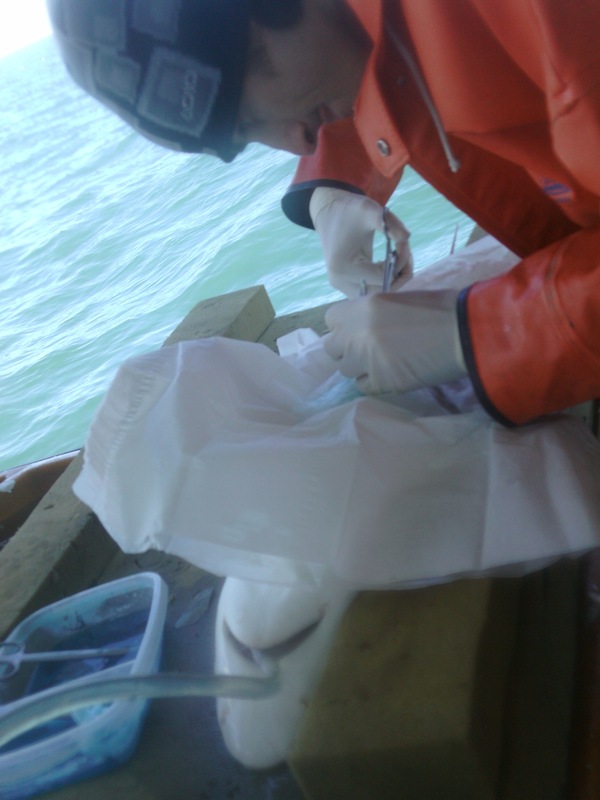 This is a great program that goes a long way towards bridging the divide between commercial fishermen and researchers: it allows fishermen to participate directly in the science and scientists to make use of the fishers’ knowledge of local waters. 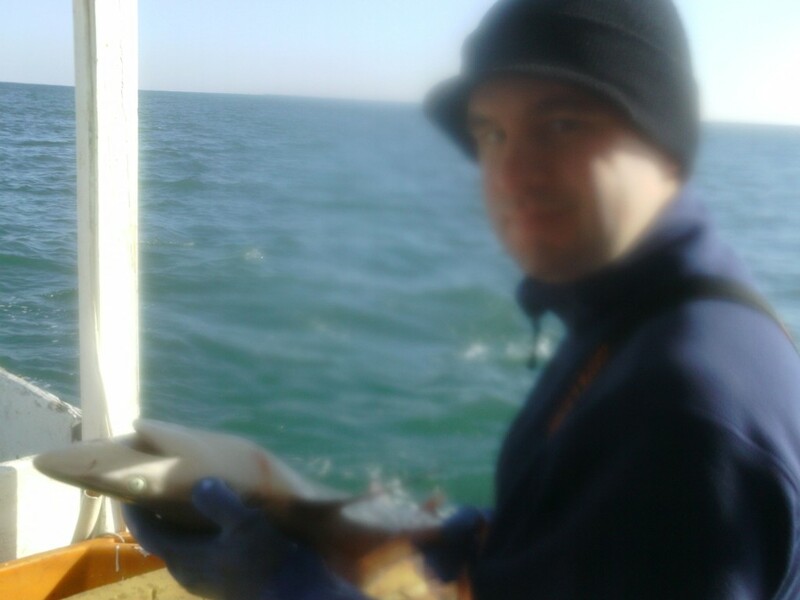 In this case we were working with frequent Rulifson lab collaborator Chris, a commercial gillnetter out of Hatteras. Chris normally fishes for monkfish and dogfish,but this time took us to a few spots in the Hatteras Bight that local fishermen have been trying to avoid due to the high number of “biters” in the area. Hatteras fishermen classify sharks as either “dogs,” smooth and spiny dogfish, or “biters,” which are usually small or juvenile Carcharhinid sharks. The local names get more detailed than this, with species-specific names such as “white-dotters” for Atlantic sharpnose sharks (because the adults have white spots) and “circle biters” for small sandbar sharks (because they can tear circle-shaped holes in your rain gear if you make the mistake of only holding them by the tail). Chris has been fishing for decades and knows a ton about the things that swim by the Cape at any given time of year. Chris really put us on the sharks. 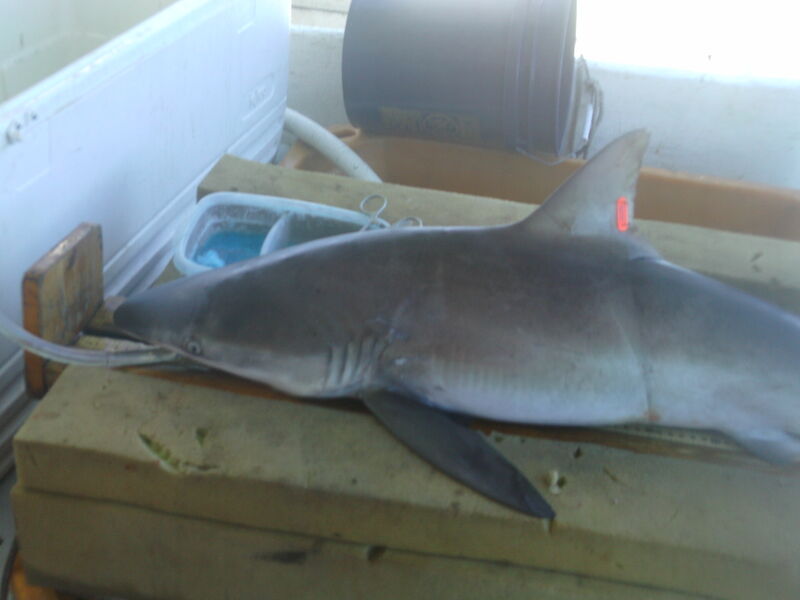 In two days of sampling, we caught and measured 180 juvenile sandbar sharks, 4 sharpnose sharks, two dusky sharks, one smooth dogfish, and one 6-foot scalloped hammerhead. 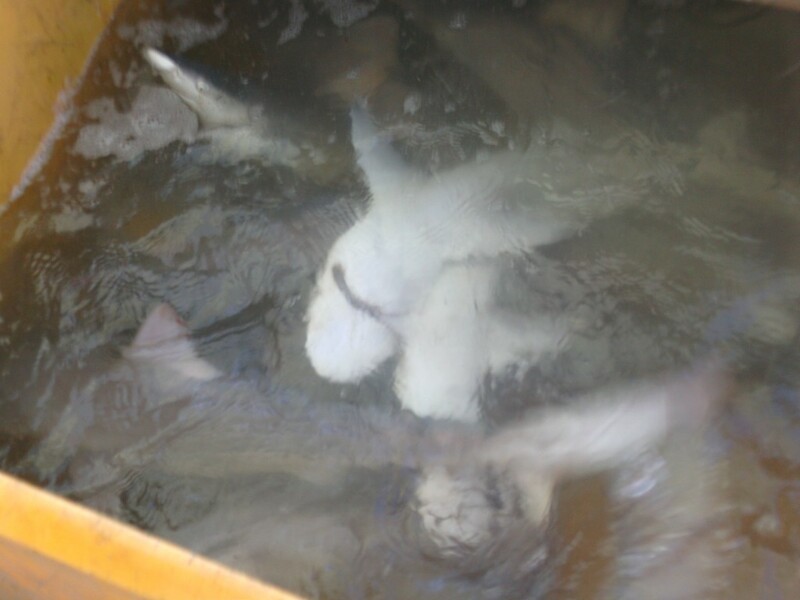 Three angel sharks, some false albacore, and two of the largest shad I’ve ever seen also made appearances. Of those sharks, 15 sandbars and one dusky are now carrying acoustic tags and will hopefully show up on our array and others deployed along the Atlantic coast, providing crucial data on their migration routes. That’s the science. Here are the pictures. 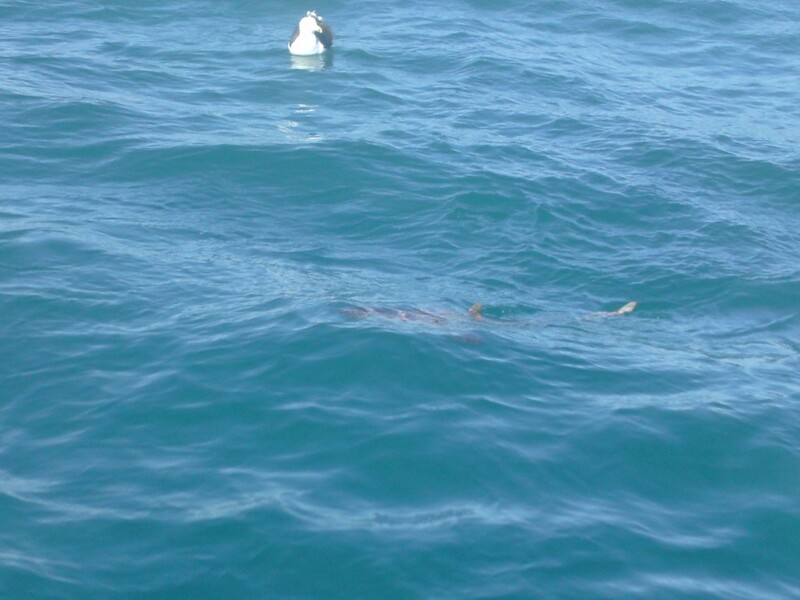 The sheer number of juvenile sandbar sharks off of Cape Hatteras has to be seen to be believed. The only other sharks I’ve ever seen come up in comparable numbers are spiny dogfish. This is the picture I wanted to take all summer. Of course moisture somehow got inside the lens and blurred me out. At least the shark is clear, and the sharks are the real stars anyway. The first time surgically implanting and acoustic transmitter is a harrowing experience. Fortunately Andrea, veteran of dozens of surgeries on spiny dogfish, was there to coach me through it. My first couple surgeries took about 20 minutes, his took about five. Most importantly, all sharks subjected to the procedure survived. 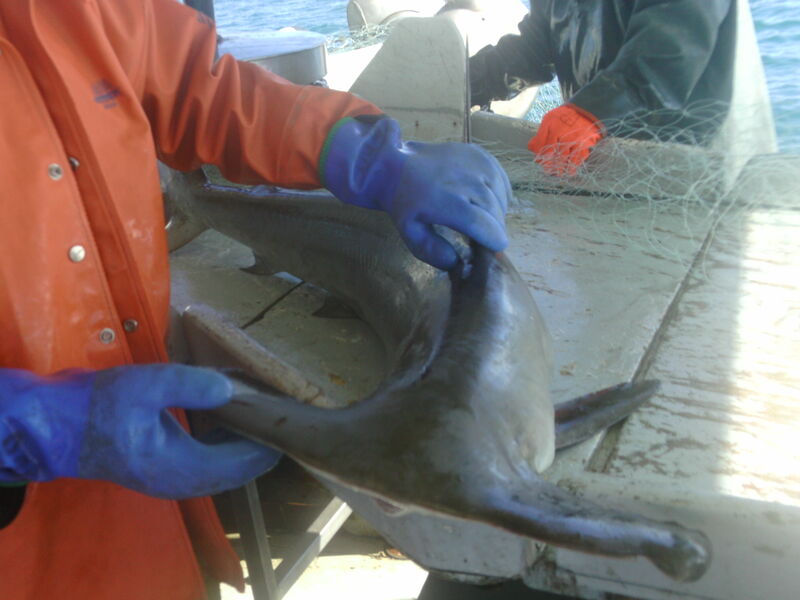 Dusky sharks are a species of concern for NOAA. Their slow growth and late maturity, as well as the ease of mistaking them for species legal to land, are causing them to recover from overfishing at a snail’s pace. On the flipside of that extreme life history, they’re born enormous. This nearly 4-foot female is not far off from size at birth for this species. Sandbar sharks are an especially hardy species and were generally good candidates for the surgeries. We were less sure about the dusky and stuck around to ensure a healthy release. Though disoriented at first, she soon picked up speed and began swimming more confidently. She then began taking some frustration out on the gulls and pelicans that had gathered in hopes we’d be tossing something more manageable overboard. 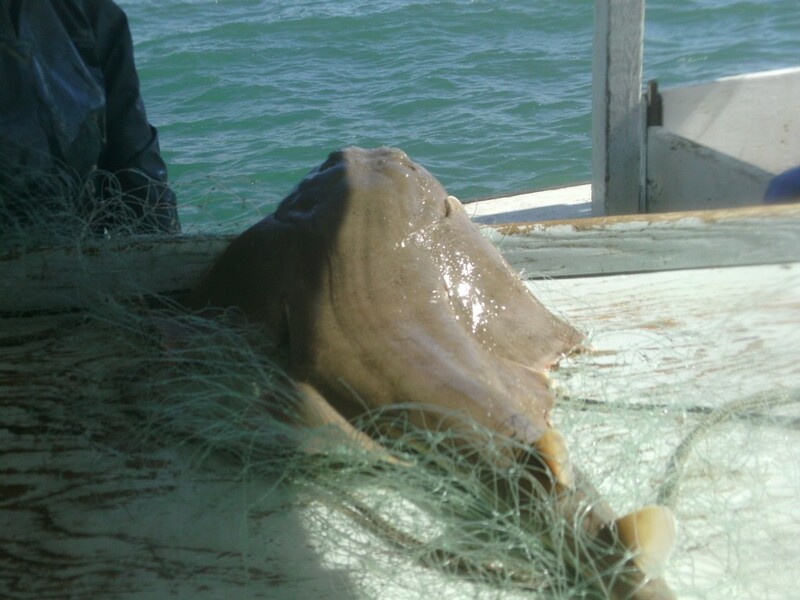 Atlantic angel shark. Not a target species, but a cool catch nonetheless. Don’t underestimate their ability to suddenly lunge at your face off the deck of a boat. Not a shark, but still a cool fish. 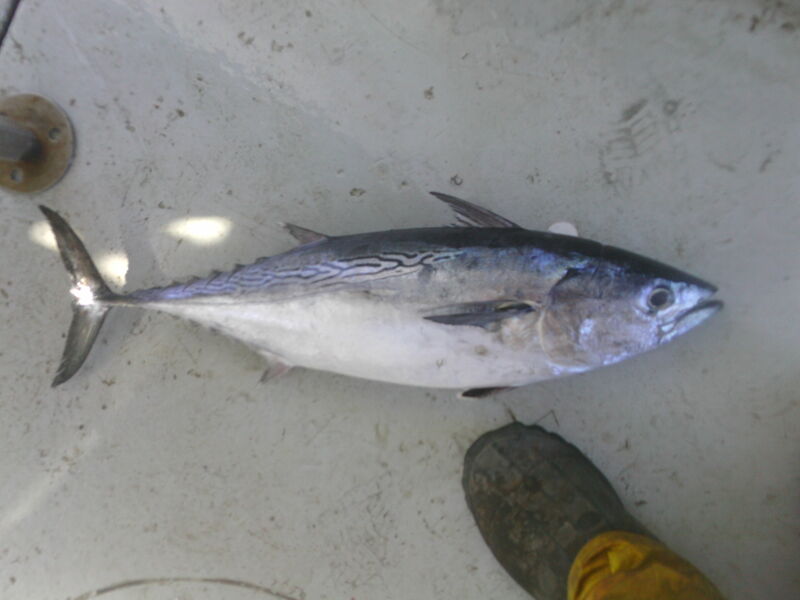 These false albacore, also known as little tunny, were running in the area. These small tuna are probably a staple of the diet of Cape Hatteras’ larger sharks. 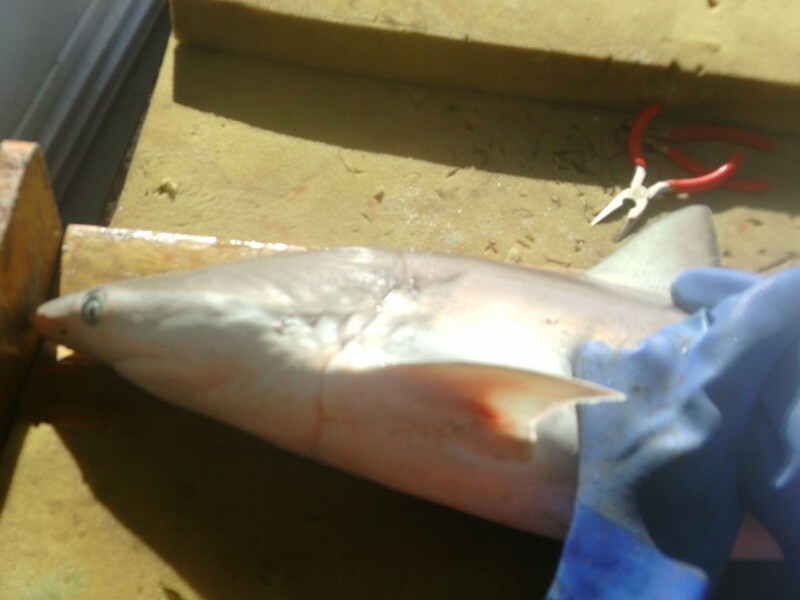 Atlantic sharpnose sharks are usually the most common shark in the area in the warmer months, though the unseasonably warm water (about 64 F on the bottom) brought a few adults of this species to our nets. Another adult shark was this scalloped hammerhead, checking in at just over six feet in length. This is another species that isn’t common off of Cape Hatteras in the winter. The hammerhead had apparently lead a rough life before we caught it. Its jaw may have been damaged by an earlier encounter with a longline or tuna charter. All in all, a pretty successful trip. I’m looking forward to seeing where our tagged sharks go, and hope to add more sharks to the roster soon.